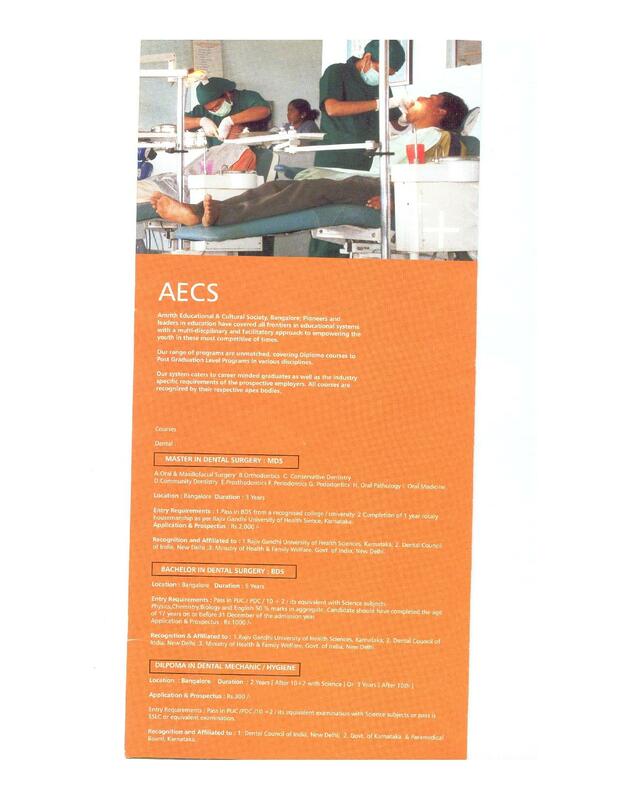 The AECS Maruti College of Dental Sciences and Research Centre was established to fulfill the increasing needs of dental professionals due to growing dental problems amongst the public. The main aim of the college is to promote development of caring habits of oral health and provide academic excellence through proper education to the students with the help of professional and experienced faculties. Quality education along with imparting ethical values is the qualitative factor of the college. The faculties pass on their knowledge and values in the class rooms along with providing training through audio visual aids. 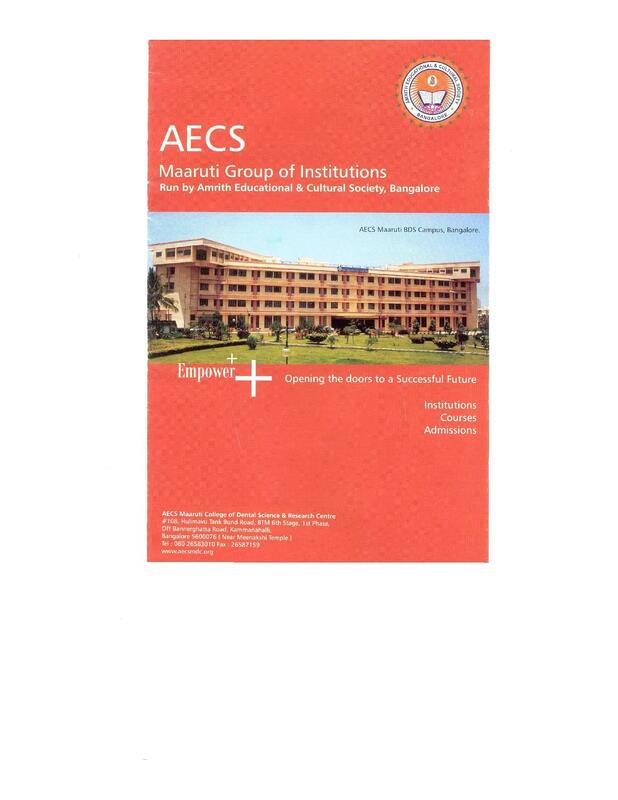 Why to join AECS Maruti College of Dental Sciences and Research Centre, Bangalore? Facilities: A huge seminar hall is provided to organize seminars, guest lectures, etc. for the students, a modern lab consisting of sophisticated equipments that makes learning more interesting, and hostel facilities separately for boys and girls in the college campus for their safety issues along with mess facility that provides nutritious and hygienic food for the health factor of the students. 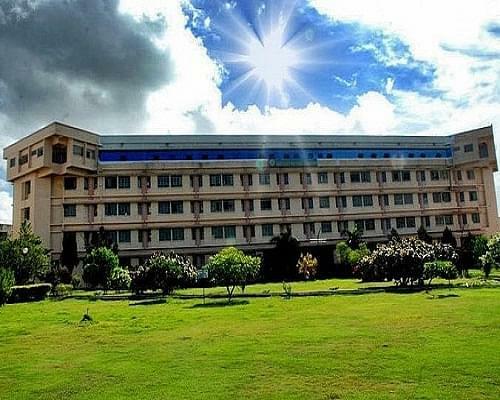 Best faculties: The College has a huge stock of best capable faculties at its campus which are available all the time for giving guidance to their students at every level whenever they need them.